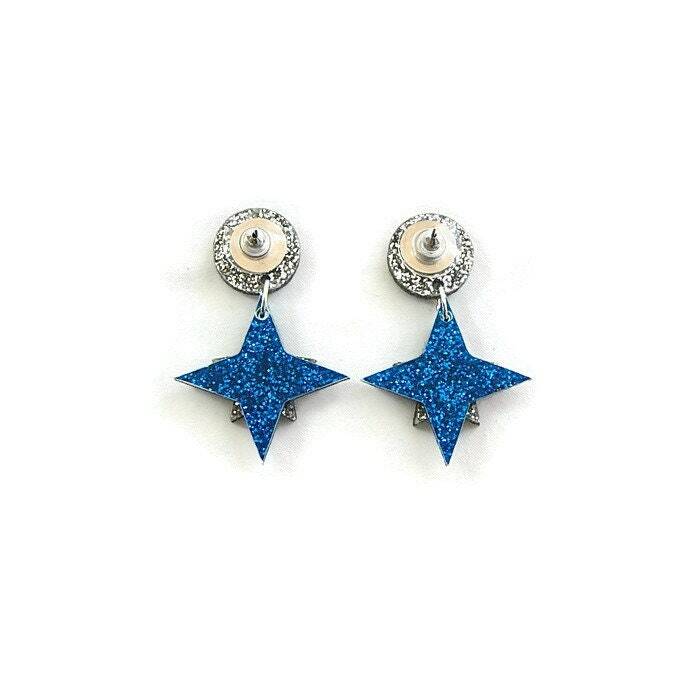 These retro inspired star dangle earrings are made of lightweight glitter acrylic. The earring post is secured to a silver glitter acrylic circle. 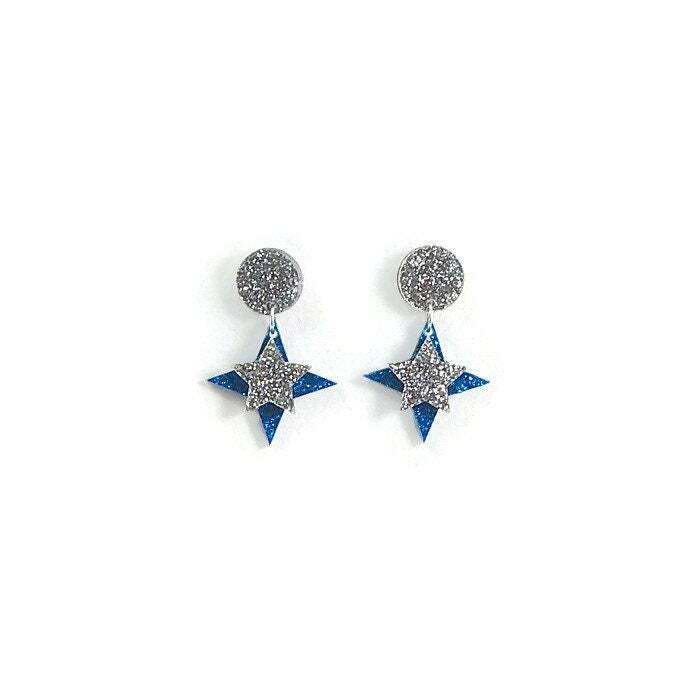 Hanging from the glitter circle is a double layered acrylic star; silver 5 point star on top of a blue 4 point star. 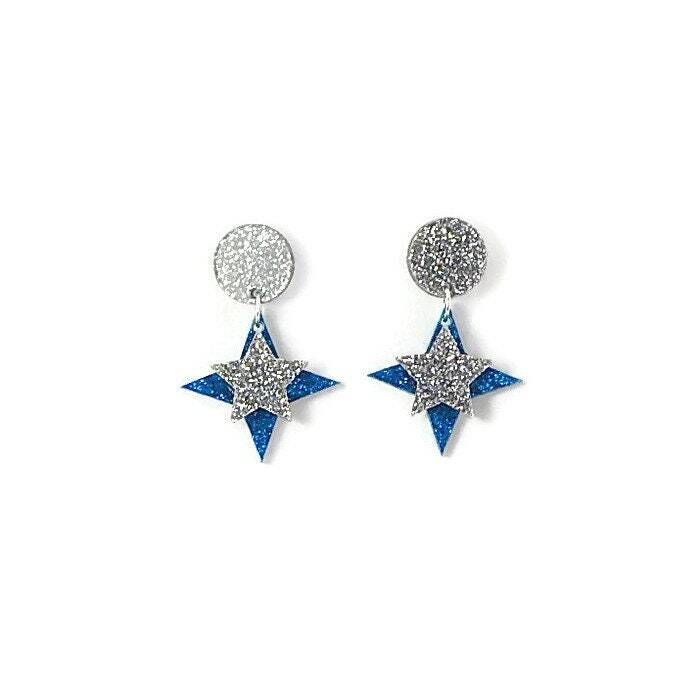 The circle measures 15 mm (approximately .59") in diameter and the earrings measure approximately 46 mm from top of circle to bottom of star and 32 mm at widest point of star. 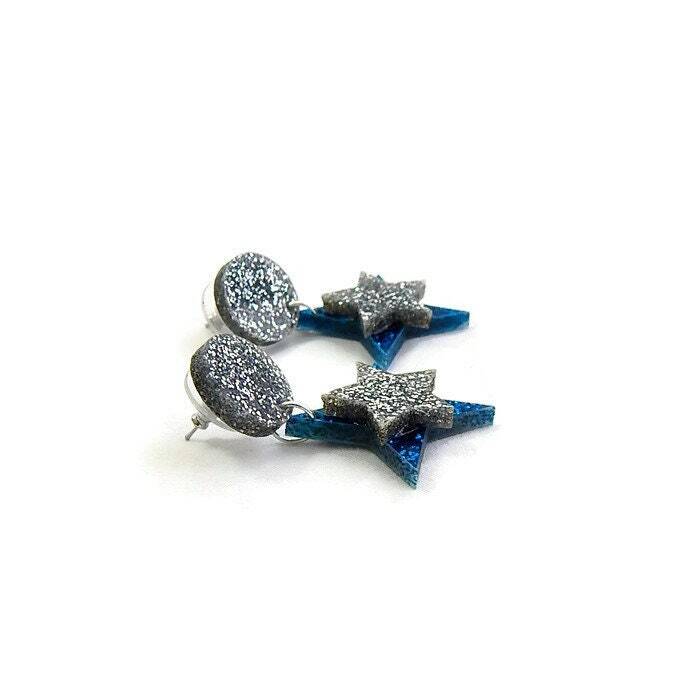 These earrings are nickel free for sensitive ears and come with comfort clutch earring backs to keep the earrings snug to your ear. Exceptional. Awesome and professional packaging, quick shipping, and the earrings are PERFECT. So sparkly! I can’t wait to make another purchase!